The question about the necessity of early retirement for throat-singers was raised by a well-known throat singer, Honored artist of Russia Kongar-ool Ondar during a meeting of the president with culture figures. As a basis for the initiative, he explained to the head of the country about the work of the vocal cords, respiratory system and the resonator system of Tuvan vocalists. Remember that the problem of pension security of professional performers of Tuvan throat-singing was first raised in 2008, when Premier Sholban Kara-ool officially declared the Year of Khoomei in Tuva (khoomei - general term for Tuvan throat-singing). This decision was made by the head of the republic not only with the aim of propaganda of the unique cultural phenomenon, but for the solution of practical problems as well. In particular, an audiovisual digital archive of throat-singing was created. 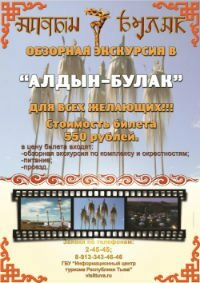 The head of Tuva recommended to the ministry of culture of the republic to insist on including khoomei in the registry of intangible cultural heritage of UNESCO. To preserve and to popularize cultural traditions, customs and music of the Tuvan people, and also to support the masters of traditional ethnic culture, Sholban Kara-ool created a center for development of Tuvan traditional culture and crafts. The premier appointed the famous culture worker Kongar-ool Ondar as the head of the center. Throat singing (laryngeal singing) is a unique kind of art, the uniqueness of which is based in the fact that the performer produces two notes at the same time, producing, in this way, an original two-voice solo. As scientists believe, throat-singing is a very complicated process, which causes chronic diseases of cardiovascular and respiratory system. Tuvan throat-singers, who are considered to be the best in the world, have a special vocal technique, which is distinguished by prolonged interruptions of normal respiration and intensive vibrations of respiratory organs. All this has a disruptive effect on the brain, lungs, larynx, and cardiovascular system. For that reason, throat singers need protection no less than opera singers.